The Kinematic Coupling allows for easy removal and re-installation of the print bed, with up to 10 micron repeatability. However, print bed leveling must be done on the first start-up, and should be checked regularly throughout the life of the printer. Orient the print bed such that the spheres on the bottom align with the three elliptical holes in the stage. Gently set the print bed down into place. The magnetic couplings will automatically align and properly secure the print bed. In order to successfully print great parts on your Mark One 3D printer, it is very important that you make certain that the print bed is correctly leveled and that the height of the fiber nozzle is set correctly. To help you achieve this, MarkForged has provided you two labeled adjustment shims to help you successfully level the print bed and adjust the nozzle heights. Caution: Please download and install the latest Mark One firmware before using these shims. On the LCD touch screen, press the Menu icon in the upper right corner. Press “NEXT” to begin the procedure for leveling your print bed and adjusting the nylon and fiber nozzle heights. We will first level the print bed while at the same time adjusting the nylon nozzle height using the shim labeled “PLASTIC SHIM 100uM” located in your accessory kit. 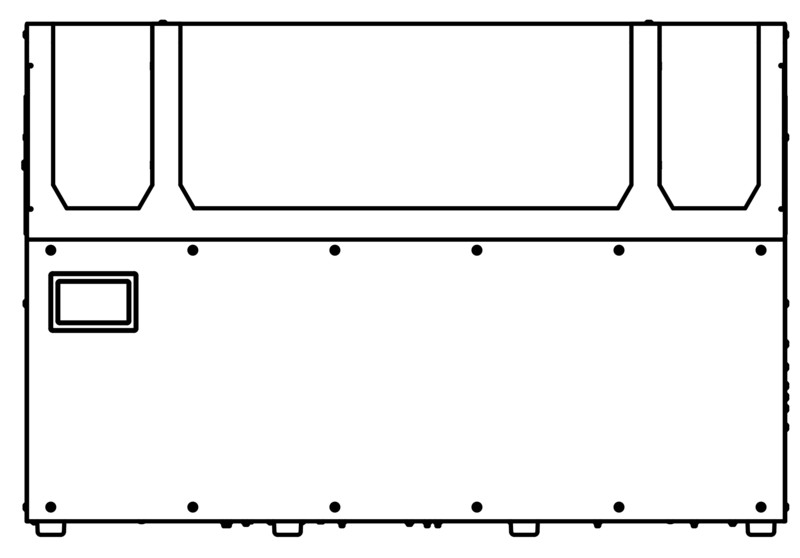 Per the on-screen instructions, loosen each of the three thumbscrews on the bottom of the print bed until the print bed is at its lowest position. Be careful not to unscrew the screws all the way out of their threading. The bed is at its lowest position when the aluminum flexure strips are flush with the surface of the stage. Press “NEXT”. 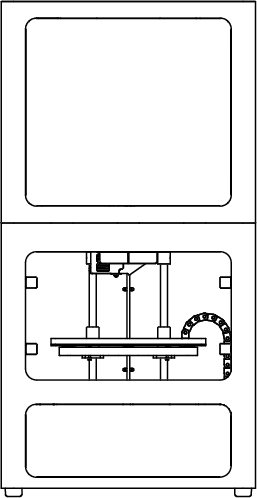 Slide the shim labeled “PLASTIC SHIM 100uM” between the print bed and the nylon nozzle (the nozzle located on the bottom of the print head assembly, towards the back of the printer - the sharper of the two nozzles). Press “NEXT”. Adjust the thumbscrew directly below the nylon nozzle until you can feel slight resistance while sliding the shim. Note: if you adjust a thumbscrew to the point where you are no longer able to turn it, yet there is still too much play, and you are not able to create the desired “slight” resistance with the shim, please exit by pressing “CANCEL” in the upper right corner of the LCD. 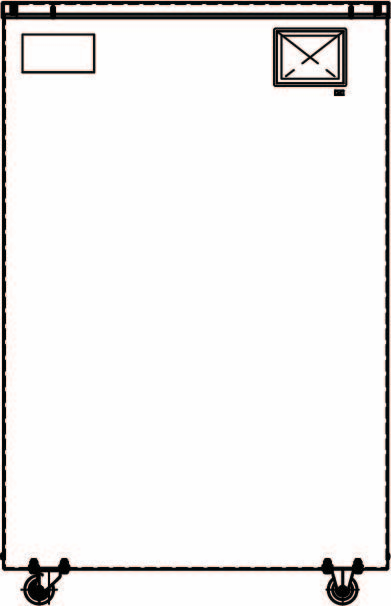 Once canceled, press the Menu Icon in the upper right corner of the LCD touch screen. Select “Utilities”. Select “Adjust Z Offset”. Follow the LCD on-screen instructions accordingly to correct the Z offset. Once the Z offset is corrected, restart the “Level Print Bed” procedure. Continue to follow the on-screen instructions to level the print bed and adjust the nylon nozzle height. Note: the leveling procedure will guide you through leveling the three points on the bed twice. The second pass is intentional and is necessary to ensure proper bed level and high quality prints. Once the bed leveling and nylon height adjustment is complete, the print head assembly will move to its final position. At this position, you will adjust the height of the fiber nozzle (the nozzle towards the front of the printer). Slide the other shim (labeled “FIBER SHIM 130uM”) between the print bed and the fiber nozzle. Adjust the 2.5mm Allen head screw on top of the print head assembly to adjust the height of the fiber nozzle until you can feel slight resistance while sliding the shim. Only slight, 1/16 turns are required to either raise (turn counter clockwise) or lower (turn clockwise) the fiber nozzle. You have now successfully leveled the print bed and adjusted the fiber nozzle height. In order for your Mark One to print correctly the distance between the printhead and the two nozzles needs to be properly configured. First you need to set the distance between the bed and the nylon nozzle. Then you need to set the distance between the bed and the fiber nozzle relative to the fiber nozzle. It is easy to tell if your nylon nozzle is at the wrong height. The idea is that the extruded nylon should form a 'road' that is 0.1mm high and 0.4mm wide. If the nozzle is too close it will be too wide and too thin. If the nozzle is too far away the nylon will look like round beads. The shim used for leveling the nylon nozzle is 0.1mm tall. The shim used for the fiber nozzle is 0.130mm tall. The fiber nozzle needs to be slightly higher (farther away) from the print bed than the nylon nozzle.